Whether you've sold or given away your vehicle - or bought or been given a new car - there's a process to switching vehicle ownership. Namely, you have to transfer the title. Before you drive off, make sure your transaction is official by completing your state's title transfer requirements. The title is the official document that verifies a vehicle's owner and updates the DMV's official records. In fact, many DMV offices and other government agencies recognize ONLY the title to verify vehicle ownership. A title transfer makes your change of vehicle ownership official. Generally, state motor vehicle agencies require drivers to complete a title transfer within 10 or so days of a vehicle transaction, so be sure to handle necessary title transfers as soon as possible and reference your state's title transfer requirements for transferring a title. A title transfer is necessary whenever the legal owner of a vehicle changes. Selling or buying a used vehicle. Gifting or donating a vehicle, or receiving a vehicle as a gift or donation. Inheriting or bequeathing a vehicle. Changing the name of a vehicle's owner. Changing ownership of a vehicle between family members. Full payment of a car loan. Well, there are some obvious benefits, such as being able to register your car and meeting legal requirements, but aside from that, there are a few other benefits to completing your title transfer. For example, if you're the seller, transferring the title removes you of all responsibility for the vehicle. So, if the car is involved in an accident or cited for a traffic violation, you can rest easy because you're no longer held accountable. If you're the buyer, transferring the title ensures that your vehicle purchase is legally binding and non-contestable. Furthermore, transferring the title might have implications for the buyer's car insurance rates. Be sure to consult to your car insurance provider. 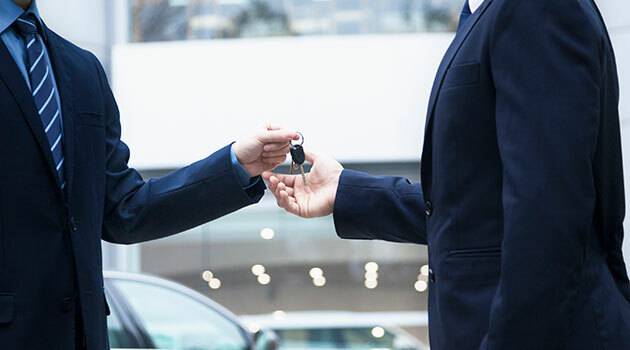 So, the next time you're involved in the buying or selling of a vehicle, take the time to handle this important step so you can drive off from your transaction with confidence. What's your experience with title transfers? Leave a comment below if you've seen firsthand how important it is to handle this crucial step in the car ownership process.